tag – The Beauty Spot. I LOVE Cadburys chocolate. Mostly Mini Eggs or Twirl. My cat cheers me up just for being around and too cute! My shoe collection mainly contains Primark! 1. Your favourite Disney Character? Belle from Beauty and the Beast. It was the first film I saw at the cinema, and I just loved her gold dress! 2. What is your most essential product that you could not live without? Probably my Clarins HydraQuench Cream. Moisturiser is essential for a number if reasons! 3. Your favourite holiday? I loved my two holidays to Orlando (I met the guys who played the Weasley twins in a bar one time! ), but you really can’t beat Greek Islands for food and relaxation! Skiathos and Kefalonia are my faves! 4. What is your guilty pleasure? Tween pop music! I’m 25 and a total 1D fan! 5. Spring, Summer, Autumn or Winter? Always summer!! 6. Your favourite perfume? Chanel Coco Mademoiselle or Jo Malone London Peony & Blush Suede. 7. Dogs or cats? Cats every time! 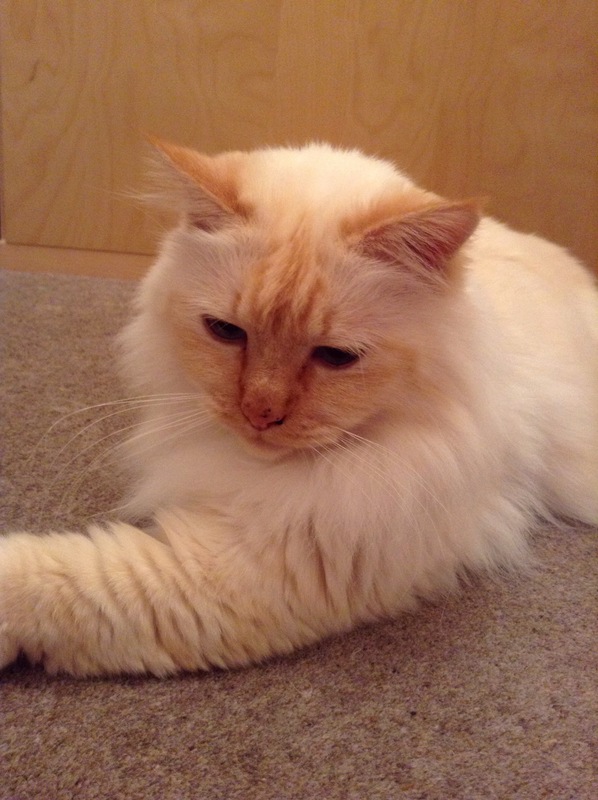 Here’s a picture of my Harry to show you how gorgeous he is! 8. Morning person or night owl? Probably more of a night owl, although you can’t beat early morning in the summer, best part of the day! 9. Your favourite shop and why? Primark and H&M probably. For value and choice. I’m going to create a few questions, but as I’ve done this award before I’m not going to nominate any specific blogs. If you’re reading this and you have fewer than 200 followers, please feel free to use these questions and link back to me here. Enjoy! How would your friends/family describe you in 3 words? Which beauty treatment would you always have done at a salon? Did you know any other bloggers personally before starting your blog? 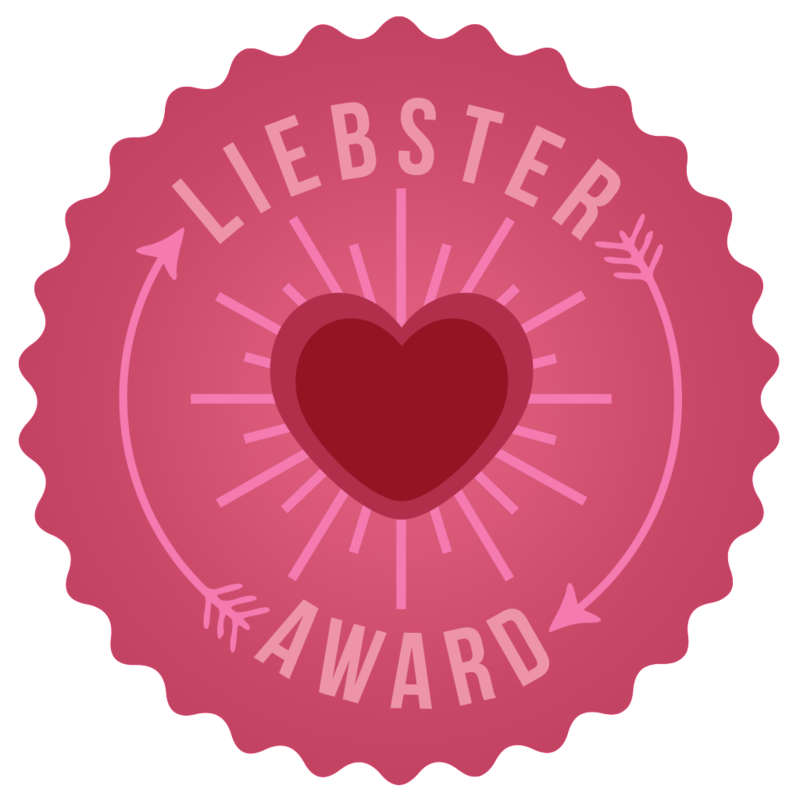 So I have been nominated for The Liebster Award! This is the first time I’ve been nominated so I’m dead excited! I was nominated by the gorgeous Amy from Lipsticks & Liner. You should definitely give her blog a look, she’s got a give-away going on at the moment which I’m going to enter as soon as I’ve finished this post! – Mention the person/people who nominated you and give a link to their blog. – Answer the questions that are given to you by the person who has nominated you. – Nominate bloggers who have less than 200 followers. – You should also create new questions for the people you have nominated. 1. What was the first movie that you went to see in cinema? I’m pretty sure it was Beauty and the Beast. I was 4, and went with my brother and two other boys we grew up with and our Mum’s. The Mum’s were in bit crying i seem to remember! Everyone loves Disney! 2. Do you like reading beauty blogs or fashion blogs more? Generally I prefer beauty, just because that what I’m more into. I don’t feel I get as much opportunity to experiment with my clothes. 3. 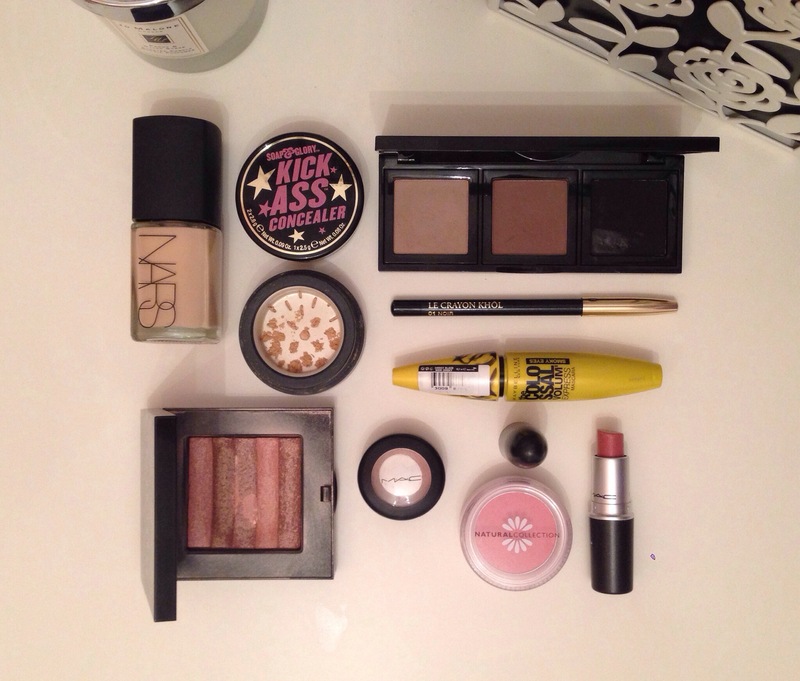 What is your most used lip product? Most used at the moment is my numerous Chapticks and lip balms. I’m using my Carmex one from the Boots Beauty Advent Calendar every night at the moment. 4. Who is your favourite artist? I am a total teenage pop tart at heart! The group I will always buy albums and tickets for is Take That. But I love listening to a lot of the 70’s/80’s stuff too! And Michael Jackson is a bit musical love of mine. 5. Do you like horror movies? NO! I went through that teenage phase of seeing most of the stuff that came out around the time I was 15 (The Ring, The Grudge etc etc), ‘we are 15, we will see a scary film’! But no I don’t really like them. 6. At what age did you learn to drive? I was 17 when I passed my test but I didn’t learn straight away. Its scary to think I’ve been driving 8 years now! Getting old! 7. Where is your dream holiday? I have a few places I’d like to see, Vegas is on my list, but real beautiful beach holiday somewhere in the Caribbean is also on there. I go on a lot of sun holidays, but the beaches aren’t beautiful where I’ve been. 8. If money was no object, what 3 things would you buy? A house, a Range Rover Evoque and a Chanel 2.55 handbag. You said money no object! 9. Who is your celebrity crush? Bradley Cooper! Need I say more ladies! 10. How long have you been blogging for? I started my blog in October 2013. I absolutely love blogging, it’s great to have a little hobby. 11. What is your favourite magazine? I don’t really read magazines anymore, blogs have taken over my life! I used to subscribe to Glamour though. 1. What is your favourite TV programme from your childhood? 2. Who do you look up to the most in your life? 3. Was there anything specific that spurred you on to start blogging? 4. What is your favourite shop on the high street? 7. What has been your favourite trip or holiday you have taken? 9. Who’s your ‘shouldn’t but would’ crush? 10. Item you can’t live without? 11. Favourite thing about home? I am so glad to find all of these blogs. Some are very new and I can’t wait to see what kind of blog they become and some are a little more established and I go back to read all the time. Apologies if any of you have been tagged before, please link your post below, I’ll definitely want to see what you’re answer are! WOMF #4: How much is your face worth? I’ve seen this tag floating around for a while and I’ve been intrigued to see the real cost of what goes on my mug every day! This makeup was a pretty regular day, it’s my easy ‘go to’ look when I want to look like I’ve made a bit of an effort, but not gone too OTT with it all! 1. Real Techniques Buffing Brush (from the Core Collection, price based on cost per brush) £5.50 | 2. Crown Brush C224 Oval Camouflage Brush £3.49 | 3. 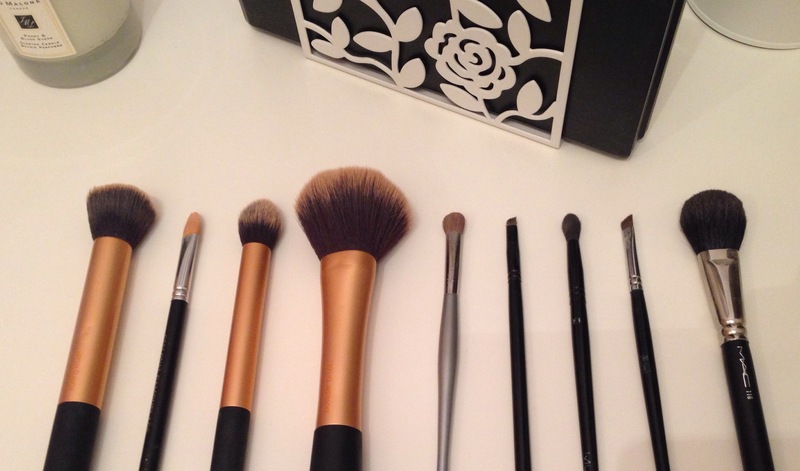 Real Techniques Contour Brush £5.50 (from Core Collection) | 4. Real Techniques Powder Brush £12.99 | 4. Lancôme Eye Shadow Brush (no longer available) replacement £21 | 5. Crown Brush BK45 Deluxe Angled Liner Brush £2.19 // 6. MUA E3 £1.95 | 7. *Mystery brush* (Crown Brush IB132 Stiff Brow is similar though) £2.19 | 8. MAC 116 £27. I literally cannot believe how many products and items I’ve just listed! When I whack it all on at 7am it doesn’t feel like that much makeup! Eeeks! Ok so that is one of the most expensive I’ve seen! But, in my defence, I do get to buy quite a lot of high end makeup with a discount because of where I work. So I didn’t pay that much for everything I use! Some things I would pay the price for, others probably not; there’s some amazing quality in the drugstore these days! Hope you enjoyed having a snoop at how much my face is worth! I was tagged by the gorgeous Sophie to do this tag, and I haven’t done a tag for a while so I was really pleased as I was trying to find one to do soon! A few months ago I would definitely said I’d keep eye shadows, but now I’ve been experimenting a bit more with lipsticks I think I’d definitely keep all those items and lose my shadows. Tough choice though!